Here are links to my two inaugral blogs for The Stage Off West End column. The beating heart of British theatre. What defines fringe theatre? It’s such a vast landscape the possibilities are endless. Location, radicalism, financial constraints, the imagination born from those financial constraints – each answer has passionate advocates who constantly use their opinions as barometers to announce either its death or rude health… read more. Political theatre needs to hit the mark. As the TUC action of last weekend proves, we are living in protest filled times. More voices than ever are rising up against perceived injustices both at home and abroad. Into this cacophony the theatre can be heard through brilliant endeavours like Theatre Uncut, plays such as The Riots from the ever political Tricycle Theatre and performance art collective #TORYCORE. This is where the fringe and Off-West End artists come into their own… read more. To the grisly sound of bones crunching and dirt being clawed away, Timothy Allsop’s Richard rises from a grave scattered with papers. 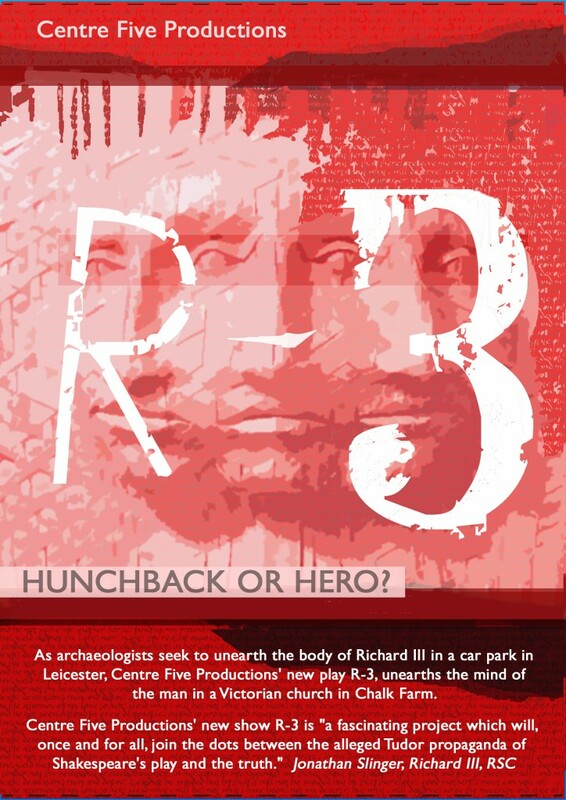 So begins Allsop and Caroline Devlin’s R-3 – Richard III rebooted in order to find the ‘man beneath the myth’. As a defence of this slandered king, it is a passionate account laced with historical detail but relying too heavily on its own imagined narratives to be wholly plausible. Allsop faces down the accusations laid at this Plantagenet’s door so devastatingly by the Tudor’s most famous scribe. Princess Ann was actually a loved and loving wife, while Richard himself was said to have a ‘great heart’. Influenced by the research of Dr Ashdown-Hill, some of these reclamations of character appear authentic but proof is scarce and as they admit themselves, Devlin and Allsop’s Richard is ultimately as fictional as Shakespeare’s. St Saviours Church lends some pomp and splendour to an otherwise modern interpretation while Matt Eaton’s colourful sound design fills the air with Richard’s memories and nightmares. 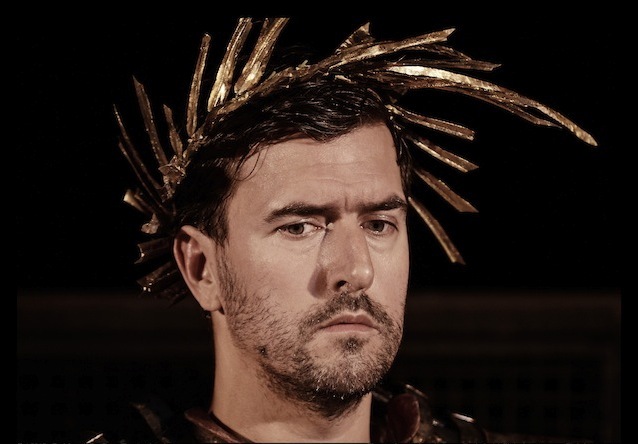 Allsop’s characterisation throughout is too light and he is more showman than embattled king. But this is an intriguing and entertaining take on one of the Bard’s most malign anti-heroes. With this accomplished inaugural show, the newly-opened St James Theatre is showing itself to be a safe pair of hands for more conservative off-West End audiences. In Sandi Toksvig’s ‘Bully Boy’, Major Oscar Hadley is brought in to interrogate Private Eddie Clark over the fatal throwing of an Arab boy down a well. But after an explosion makes the two men emotionally interdependent, the situation becomes tragically clouded as we see both are suffering from combat stress. ‘Bully Boy’ is an empathic exploration of the mental cost of war, driven by a desire to confront difficult subjects. One of our most beloved polymaths, Toksvig is a skilled writer. But in her eagerness to understand each man’s damaged perspective she is unable to do justice to Clark’s victim and those like him. As such, this is a very western-centred account, in which disquieting questions about institutional cover-ups are glossed over. Patrick Sandford’s production is as assured as it is expensive. Anthony Andrews is plummy perfection as Hadley whilst Joshua Miles’s Burnley-born Clark is a skeleton of explosive energy. The backdrop is stylised, but John Leonard’s realistic sound design shocks us out of any complacency. ‘Bully Boy’ firmly places combat stress in the spotlight. But Toksvig’s heartfelt play and Sandford’s polished staging are in danger of sending a well-heeled audience out with their liberal consciences safely appeased, never truly tested. What a perfect time to revive Moliere’s The Miser, a satirical comedy of manners inviting us to laugh at the money-pinching rich. Indeed the austere Harjinder – the eponymous ‘Kanjoos’ in this playful adaptation – could be David Cameron’s poster boy, he’s so hypocritically frugal. Harjinder’s Gandhi-like existence is driving his children wild, just as his selfish grip is stopping them from marrying the people they love. Luckily friends and strangers are on hand with a fairytale solution. Hardeep Singh Kohli wittily transposes the action from 17th-century France to modern-day Nagpur. 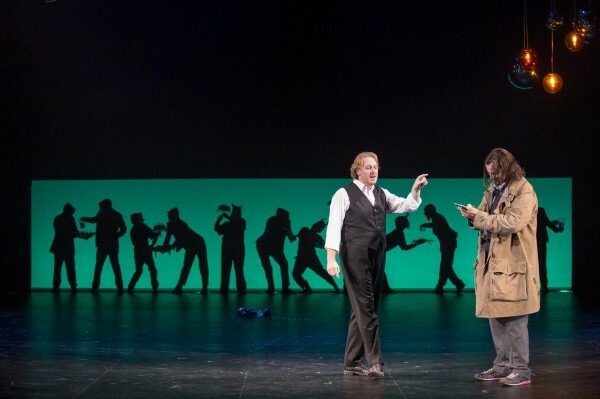 His script drips with pop culture references while keeping Moliere’s joy of the ridiculous intact. Co-writer and director Jatinder Verma’s vibrant production rattles along at a cheerfully bombastic pace. Each member of this charming ensemble sends up both classic and contemporary stereotypes with joyous abandon. Sohini Alam, Danyal Dhondy and Hassan Mohyeddin’s music gives weight to the clowning on stage with some seriously classy accompaniment, incorporating traditional Indian melodies one moment and the theme from The Godfather the next. As the nights draw in and the revelries of summer are forgotten, this warm and funny show is just the tonic to counter the cold pinch of austerity.